Forget What Did: Prepare boarding passes. Hope you enjoy it. I'm going to try to put up a little post about each episode on the day of each episode. Let's see how well I manage to stick to that. Hope you can come. And if you do, hope you enjoy that too. The day after tomorrow is 30th? July is three days long this year? Wow -- these Coalition cuts are really beginning to bite, aren't they? Just a question: What will happen after the Z-episode? Re. 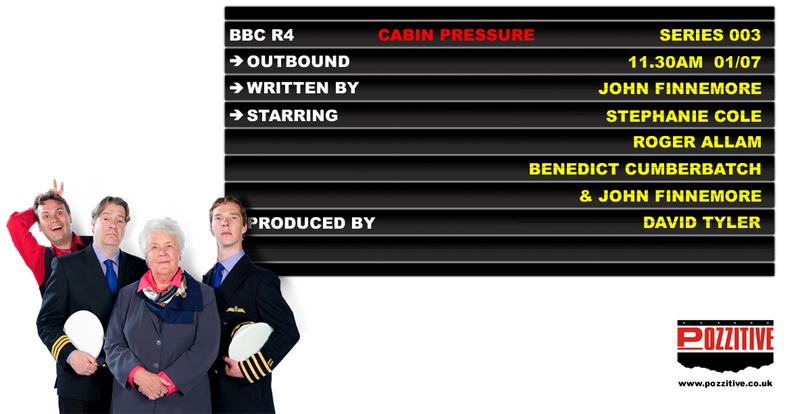 Cabin Pressure S3... WOOHOO!!! two questions: why is Q first, and not N? I was at that recording. One of my favorite days during my year in London! 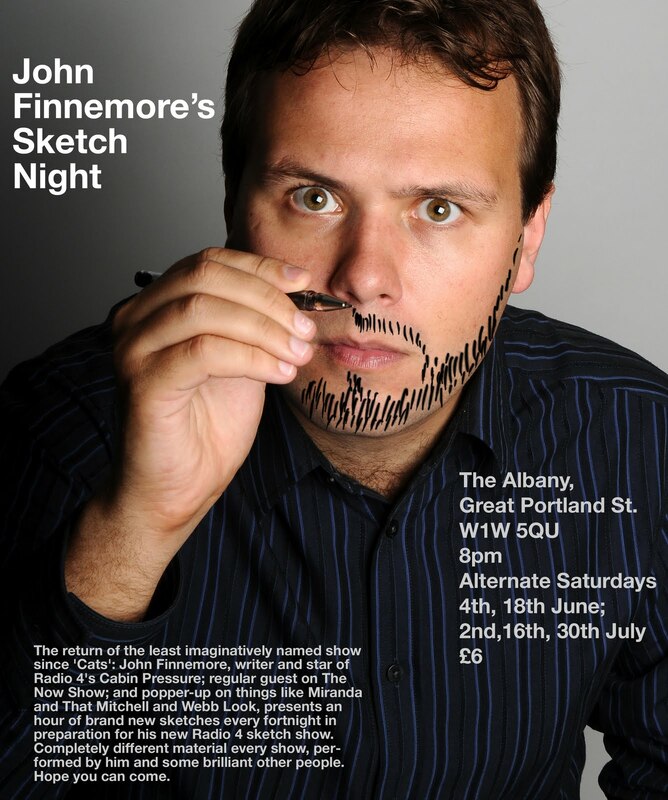 Can't wait to hear it on the radio (or iplayer, in actual fact). rewboss - Oh. I'm an idiot. eAi - It's ok on mine... anyone else can't see it? LucyH - 1) Because we didn't want to lead off with the episode BC's not in. 2) Since I became an idiot. Hmm... the picture isn't working for me, either. If it's showing up for you, John, I think you're probably seeing your own cached copy. It's not visible on the RSS feed either. My 8 month old baby and I go to bed listening to Cabin Pressure. Really looking forward to hearing the new series. YES! Two seats for me please ... one over the wings on Friday and one by the bar on Saturday. Looking forward to both! I soooo can't wait to listen to it! Will it be possible for me to listen to CP via iPlayer? The website told me, that's only on FM. I hope that's not true... I was waiting for this for so long! It's the best award for me to get for my master degree (I defended my thesis yesterday, woo hoo!). My mother and I are very much looking forward to hearing season 3. Over the wing? Makes me wonder. I don't recall it ever having been broadcast, but is there an official answer to, "What kind of plane is Gertie?" Custom interior, certainly, given her amenities. I've always pictured her having the galley aft of the passengers. If nothing else, so cabin crew might confer out of eyeshot of the passengers. Counting the hours, even though I won't be able to listen live but will have to catch it on iPlayer later. I'm hoping that, with CP's return and a victory for Andy Murray this afternoon, today will turn out to be a red letter day all round! There - hope that's fixed the picture. Sorry about that, thanks Fruitbat for the help. Ross - Funny you should say that... the official answer is finally given in this series. Regarding her layout - it has not, I fear, always been consistent, but I think it has been since the start of series two. From fore to aft, it goes: flightdeck, flightdeck door, galley, heavy curtain, cabin with sixteen passenger seats, loo. Loved the episode today almost as much as when I saw it being recorded-seeing the recording had me crying with laughter!Poor Martin though-John are you trying to make us girls feel sorry for him? You have set a high standard for tomorrow night!! I've listened to the episode on iPlayer (yay!) and I loved it to bits! Some references for the previous series ("Polar bears are brilliant!") and all sort of new things(french Martin ;D) made a great mixture of fun. What a way to start summer holidays! Thank you!